This chapter aims to improve flocking control for a group of nonholonomic robots. It introduces a new flocking control algorithm with potential-based flocking as its foundation. By incorporating Leader’s Backstepping algorithm into the flocking strategy, an improved flocking performance is obtained, which leads the flock to the target point swiftly in a smoothed trajectory. 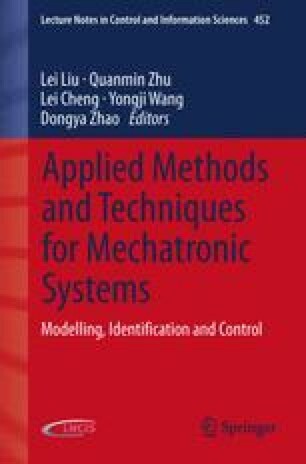 Simulations in this chapter test and verify the effectiveness of the algorithm, in which key parameters’ influences on system performance are discussed. This work was supported by the National Natural Science Foundation in China (Grant No. 60705035, 61075087, 61203331, 61005065), Key Program of Hubei Province Natural Science Foundation of China (Grant No. 2010CDA005), Key Program of Open Foundation of Hubei Province Key Laboratory of Systems Science in Metallurgical Process of China (Grant No. Z201102), Open Foundation of Henan Provincial Open Laboratory for Control Engineering Key Disciplines (Grant No. KG2011-01), Scientific Research Plan Key Project of Hubei Provincial Department of Education (Grant No. D20131105). This is greatly acknowledged.